The Harvard Principled Negotiation which is already in use in more than 80 countries has conquered France. This negotiation method is a win-win method. The aim of the method is to safeguard all the parties’ interests during the negotiation stages while reaching an equitable agreement between all parties at the end. This method has become quite trendy and is currently being used by company CEOs, legal advisers and human resources directors. Roger Fischer and William Ury, two US lawyers and professors in Harvard, created the Harvard Negotiation project. The principled negotiation theory was first applied to the negotiations between Egypt and Israel at Camp David in 1978. The principled negotiation theory requires a new state of mind (no more a question of ego) with a view to avoiding subjective issues, creating options and considering new solutions if an agreement cannot be reached. The rationale being the principled negotiation is to separate relationship issues from the substantive issues and deal with the latter by focusing on interests, not positions; inventing options for mutual gain; and using independent standards of fairness to avoid a bitter contest of will. – Helping the other side to save face and win (to bring success to the other side); – If the other side is still reluctant and hopes for a win without having to negotiate, one should demonstrate how much they can lose if they refuse negotiate. Principled negotiation has the potential to be effective in all fields but will be particularly effective if it is used in the areas of business law and labour law. For example, it will be particularly useful when two companies intend to merge and have to negotiate certain issues with trade unions. Dramatic events such as strikes, suicides and litigation would be averted by limiting the employees’ loss of confidence in the negotiations which is usually a net result of feeling f shut out, ignored or less important or in some way left out. This is a major issue for lawyers. In France, this is a major issue because of the limited of money for justice, the lack of people working in the Courts and the increasing delays and costs in litigation. To take a burden off of the already burdened court system, lawyers with negotiation skills will become more popular and more prevalent. Training in principled negotiation will become vital in the business world. 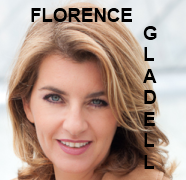 Florence GLADEL is a barrister, a member of the London Court International Law firm, is a member of IACP (International association Collaborative Practice), a professor in CENTRALE Paris,a mediator of the Paris Court, a member of the board of Avo|Sial, an association of some 400 avocats specialising in employment law; Avo|Sial was set up in 2004 to ensure recognition by the public sector and the government of the expertise of the avocats specialised in employment law and to be a platform for thought leadership before new legislation and regulations are enacted. Déjà utilisée dans plus de 80 pays, la « négociation raisonnée de Harvard » arrive en France. L’objet de cette nouvelle méthode dite « gagnant-gagnant »: l’obtention d’un accord jugé équitable par tous au terme d’un processus d’écoute mené dans le respect mutuel des parties. Cette méthode qui fait actuellement fureur auprès des dirigeants d’entreprise, de leurs directeurs juridiques et des DRH. – Si l’autre partie résiste encore et pense qu’il peut gagner sans négocier, lui démontrer le contraire en lui faisant comprendre ce que l’absence d’accord lui coûterait. Si elle s’applique à tous les domaines, la « négociation raisonnée » prend toute sa dimension en droit des affaires ainsi qu’en matière sociale. Dans le cadre d’une fusion-acquisition, la négociation avec les partenaires sociaux s’avère essentielle pour éviter souvent la perte de confiance du personnel de l’entreprise, risquant de conduire à des conséquences catastrophiques (grève, suicides…). Sans parler du risque de contentieux… »… « C’est là l’autre enjeu incontournable pour les avocats : compte-tenu de la diminution des moyens matériels et humains des Tribunaux et Cours d’appel, entraînant des délais et coûts importants pour les justiciables, l’avocat de demain, sera plus que jamais stratège et négociateur. D’où l’importance de prendre d’ores et déjà une longueur d’avance et de saisir l’opportunité qui leur est ainsi offerte d’investir davantage le monde de l’entreprise… en attendant de pouvoir y exercer.